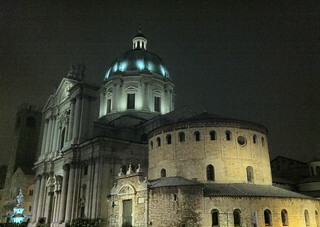 Brescia lies at the foot of the northern Italian Alps in the Lombardy region. The Italian Lakes Garda and Iseo are also within easy reach. 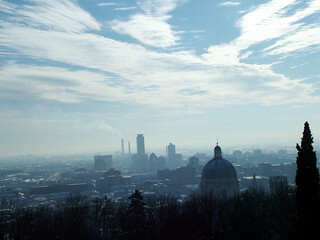 After the regional capital of Milan, Brescia is Lombardy’s second largest city. 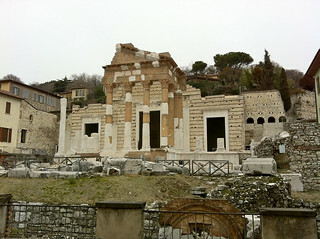 Brescia is filled with many Roman and medieval monuments and antiquities. The well preserved Old Town (Centro Storico) is enclosed by medieval walls. The imposing Castle on Colle Cidneo offers great views of the city and the surrounding countryside. 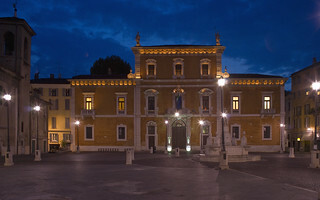 The Castle also hosts an astronomical observatory and the Arms and Risorgimento (Independence) Museums. The 11th century Romanesque church of Duomo Vecchio (a.k.a. La Rotonda or Old Cathedral), is home to many impressive and priceless religious paintings, the crypt of San Filastrio and a pink Veronese marble sarcophagus. The 1604-1825 built New Cathedral (Duomo Nuovo) contains an impressive façade, an intricate cupola and several wonderful interior frescoes; look out for the decorated Arch of Saints Filastrius and Apollonius. 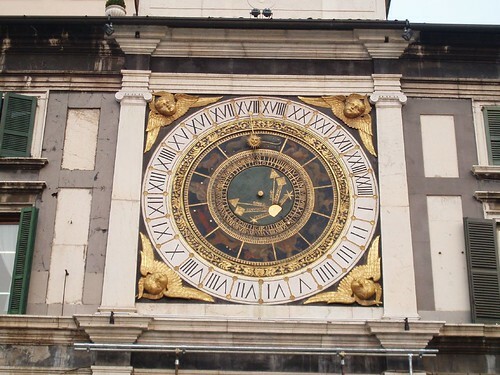 The Lombard San Salvatore Monastery is an excellent example of High Middle Ages Italian architecture and hosts the City Museum with its unique bronze masterpieces and is a recently recognised UNESCO World Heritage Site. Visit the Biblioteca Queriniana for its 14th-century manuscript of Dante, and the Municipal Art Gallery (Pinacoteca Tosio Martinengo) for its Brescian school style paintings by Bonvicinol, Giovanni Battista Moron and Romanino. Brescia’s famous Piazza del Foro is also a showcase of Roman remains, while the Renaissance Piazza della Loggia hosts the Town Hall. Both are full of cafes and wine bars. 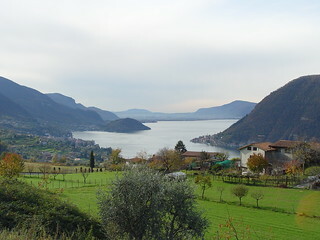 For an interesting day trip from Brescia you could hire a car and drive around Lake Iseo.